"The Good Stuff" – Social Media Helps Reunite Young Boy With His "Daddy Doll"
Jake Tapper's Political Gut Check on "New Day"
A standoff inside a local Wal-Mart in Oklahoma had shoppers frantic last month when a man grabbed a 2-year-old girl right in front of her mother and then held her at knife-point for almost a half-hour. “New Day” follows the terrifying moments caught on tape with details from Pamela Brown. “Store surveillance video shows a mom wearing a white shirt shopping with her two daughters by her side,” Brown reports. Seconds later while the mother's back is turned, a stranger reaches in and grabs the little girl from the shopping cart while her 12-year-old sister watches in horror. SWAT teams evacuate the building and two police officers begin to negotiate, but when that fails “one negotiator distracts Wallace and another goes up and shoots him point blank,” to prevent harm to the child. A manhunt is underway this morning for a gunman who shot a driver to death on a Florida highway on Saturday. It happened during the victim's frantic 911 call to police, saying another driver was threatening him with a gun. The deadly shots were captured on that call. CNN's Holly Firfer has more. “A Saturday shopping trip turned deadly for Fred William Turner Jr. after he was gunned down on Interstate 4 in Tampa—yet, another unexplained incident of alleged road rage,” Firfer reports. "The Good Stuff" - Social media helps reunite young boy with his "daddy doll"
We could all use some good news in the morning. Today, it comes in the form of a doll. When Judah Gossett left his "daddy doll" behind in a shopping cart, he was heartbroken. Social media helped get it back to him. Chris Cuomo tells you more about the story. 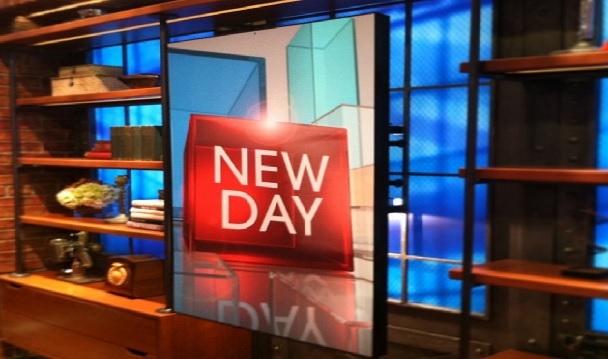 ****If you have any "Good Stuff" stories to share, leave a comment, tweet to @NewDay and @ChrisCuomo, or post on Facebook.com/NewDayCNN using the hashtag #NewDay.